This lot would cost $2500+ if you buy in the stores!!! Trending at $12.23eBay determines this price through a machine learned model of the product's sale prices within the last 90 days. PNY, P-SDU32GU185DAC-GE. 65 Point Inspection. We proudly stand behind the quality of our products. Great for full HD video content, HD photography and more. No problem! We've got it all covered. I received the wrong item.what now?. Location: Bin 93 in bag. 1 Per order. We usually beat our competition! FIND A LOWER PRICE?. Listed By: GH. Hawaii, and Alaska. Condition: This is a "new other" item. Item has not been used or installed. Item is mint and complete. Location: bin 13 in bag x1 per order. BULK ORDERS. We usually beat our competition! FIND A LOWER PRICE?. 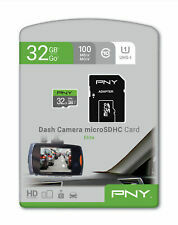 SDHC 32GB Performance memory card from PNY, with a read speed up to 80MB/s. PNY’s line of Performance SD flash memory cards are the perfect solution for capturing more action or low light photos, recording HD video and increasing your storage. Ideal for Advanced DSLR cameras & 4K Video recording. PNY’s Turbo Performance SDTM flash memory cards are dedicated to enthusiast photographers and videographers. Reaching 90MB/s speed performance, these cards are built for fast transfer rates, meaning you can capture all your special moments easily and effectively. Just plug directly into your DSLR camera or Full HD camcorder’s SDTM slot and you’re ready to capture all the best shots. Built for fast transfer rates and Class 10 – UHS-1 rated, PNY SDTM Turbo Performance cards are ideal for continuous shooting mode, allowing you to capture more frames per second for the critical shot. We're still small, but growing! After all - without you, we wouldn't be here! That way, you'll know where it is and when it should arrive. This high performance SD card is UHS-1 enabled with transfer speed up to 90MB/s. This card is water-proof, temperature proof, x-ray proof and shock proof. Compatibility with all SDHC enabled device per SD standard. Class 10 standard UHS-I and with speeds up to 100 MB / s, it's our SD cardTM faster, to capture the 4K Ultra HD photos and faster action shots without missing a beat. Speed class: U3. Write speed: up to 90 MB / s.
32GB of storage for videos, images and more. U1 speed class performance allows you to capture for fast and smooth content. PNY Elite-X 32GB microSDHC Card with Adapter-UHS-I, U3 - up to 90MB/sec (P-SDU32U390EX-GE). Class 10 - UHS-I, U3 speed Class performance allows for fast and smooth burst mode shooting and 4K and full HD video recording.